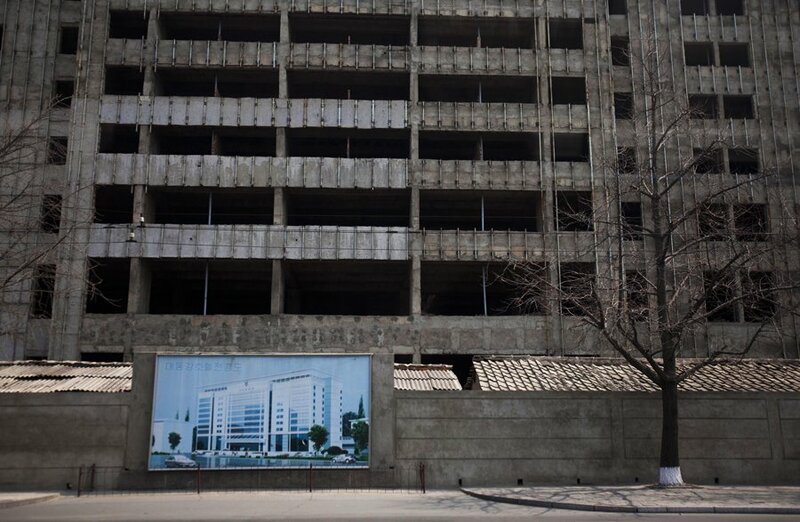 A Short Narrative of China and North Korea in Pictures! 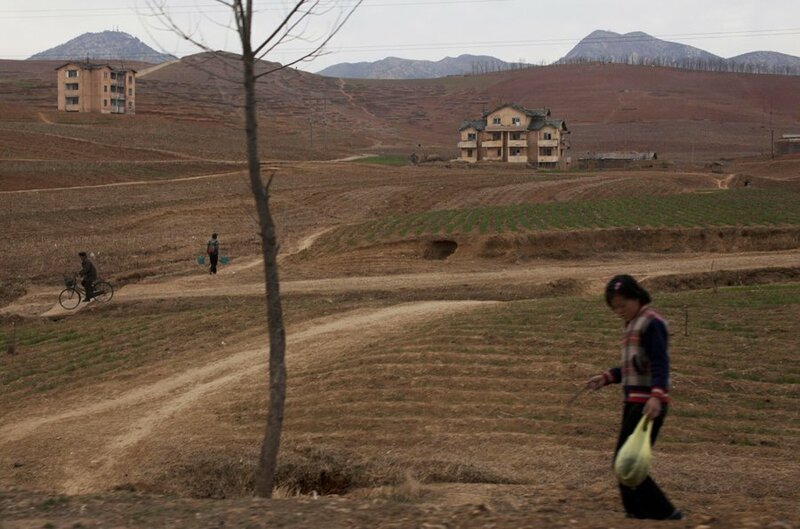 I know that these pictures are not completely representative of China and North Korea since they are only from two sideshows compiled by the Business Insider. But I thought they were pretty nice. I encourage you to check out the full slideshow to view more beautiful yet intriguing pictures from the links below. Many are suspicious of the photos from China since there are claims that the government uses an extensive amount of Photoshop. I believe that the pictures from North Korea were taken on a cellphone for safety reasons. 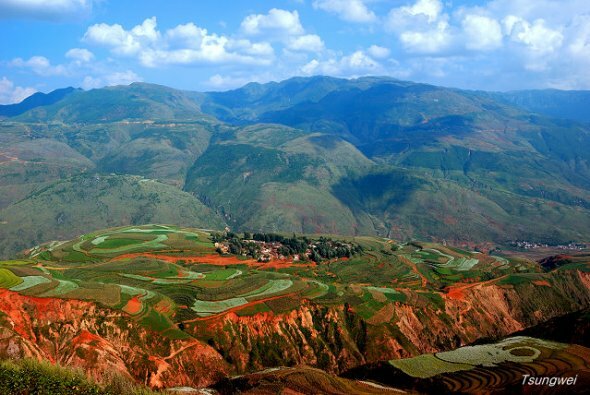 Dongchuan is known for its' heavenly scenery and strikingly red soil. 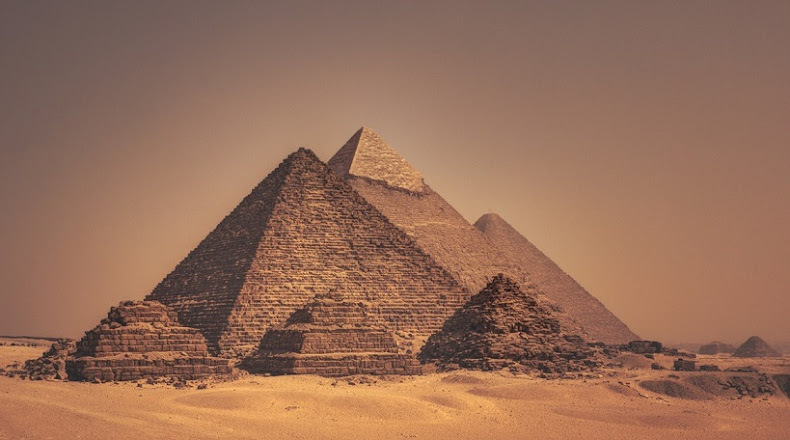 The soil is a result of centuries worth of oxidation by the iron within the soil. 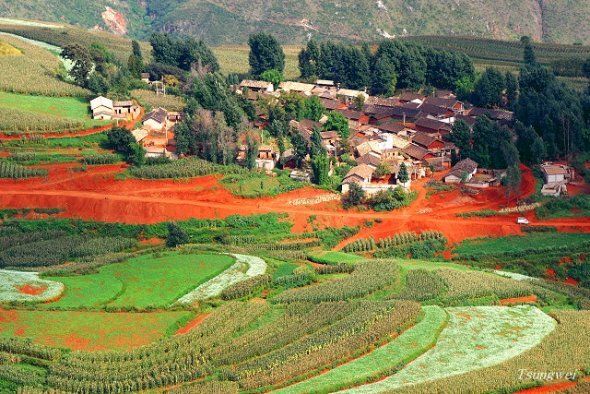 Dongchuan is home to millions of tons of copper. 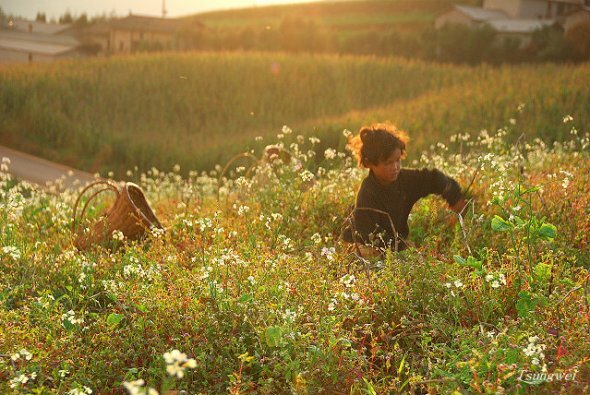 Dongchuan has been adored by photographers since the 1990s. Before then, Dongchuan was a hidden gem. Dream project displayed in front of reality. Rural North Korea off highway south in Pyongyang. The land looks completely desolate, reminiscent of the famine. 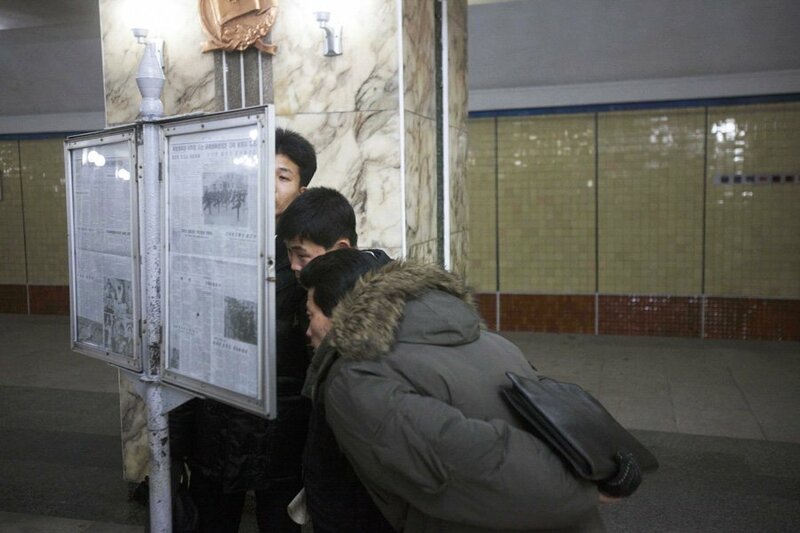 Men reading a public newspaper. I was surprised to see a newspaper here, I wonder what they are reading. 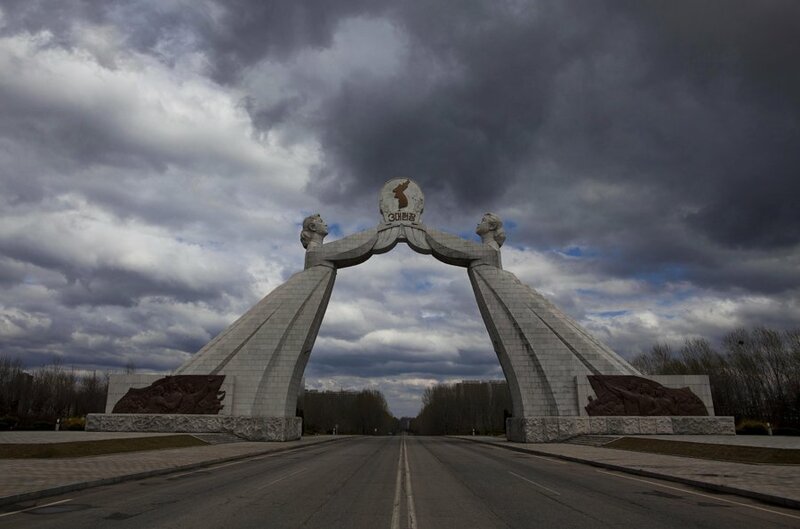 The brooding Monument of the Three Charters for National Reunification of North and South Korea in Pyongyang demanding attention. The photos are pretty nice. If they were taken on a cell phone then that camera works very well. I'm certain that there are some very beautiful places in North Korea, but I doubt whether it is a paradise for most of the populace. The train station looked pretty sparse. On the actual sideshow someone complained about it being taken on a phone...people are so picky these days, lol. BEAUTIFUL! Thanks for sharing. You have a fabulous blog! I’m an author and illustrator and I made some awards to give to fellow bloggers whose sites I enjoy. 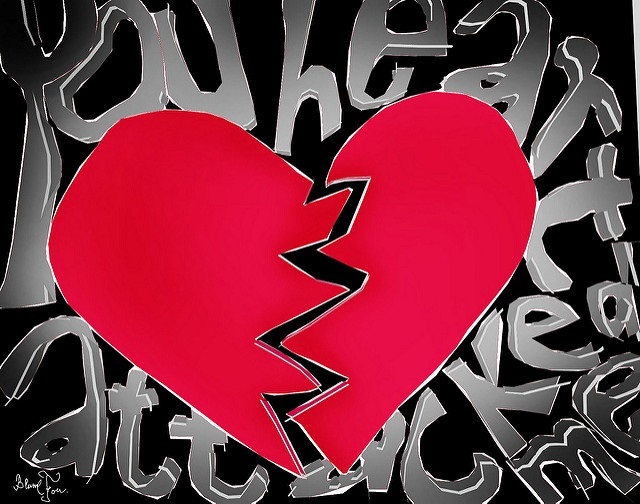 I want to award you with the Creative Blog Award for all the hard work you do! Amazing photo's , I love your blog! One of the rare ones I've seen that I really,really like! Interesting pictures you got here. I really appreciate the kind comments!